Sunday is your day to relax and recover from the week. 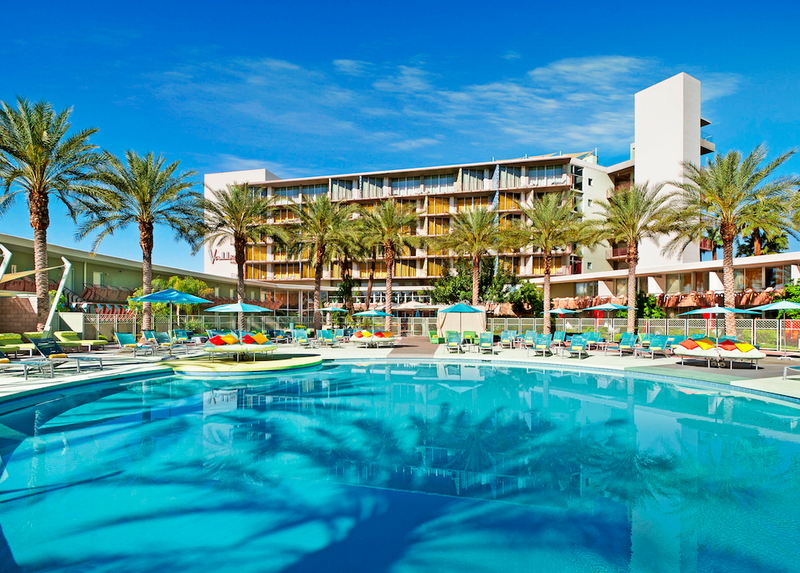 From now through June 21 take advantage of Recovery Sundays and treat yourself with delicious food and drinks, live music, spa treatments, and poolside fun at Hotel Valley Ho. ZuZu serves brunch inside and on the shaded patio from 6:00 a.m. to 2:30 p.m., with the Bloody Mary + Mimosa Bar open from 9:00 a.m. to 3:00 p.m. Enjoy live music from 11:00 a.m. to 2:00 p.m., with Vinyl Station on April 12 and 26, GedaLife on April 19, and more to be announced. Starting at 3:00 p.m., get half off all bottles of wine and Champagne. The Recovery Sunday Spa Package at VH Spa includes a 60-minute service and 30 minute-service, with restorative options like the LomiLomi Relaxation Massage and Full-Body Aromatherapy Scrub, along with a glass of wine, for $99 plus a $38 service charge (based on regular price of $190). Book a poolside cabana for 25% off the regular price and get a special recovery kit. The OH Pool is also serving up eight different cocktail specials every Sunday for $6 each, along with Chicken Mole Tacos and Green Chile Pork Fajitas for $5 each. Cool off with a select beer for $4 each or $16 for a bucket of five. *Cabana discount not available on holiday weekends. Spend the night at Hotel Valley Ho on Saturday and hit snooze on Sunday to enjoy all the hotel has to offer. For $50 extra, check-out is extended to 5:00 p.m. (based on availability). Make your reservations at 480.248.2000 or www.hotelvalleyho.com. To read more about Recovery Sundays click here.